Brad Thompson, one of Australia’s leading tai chi and qigong practitioners, shows how we can increase our energy levels, conquer stress, exercise more efficiently, compete at our best, think more clearly, sleep better, and even lose weight by learning to manage our breathing effectively. Through years of intense study in both Eastern and Western traditions, Brad has synthesized a series of simple and practical exercises that show us how to live at our full potential. Breathing is the most fundamental and natural function our bodies perform in a day, yet most of us pay little or no attention to how we breathe. Poor breathing habits learnt in childhood are limiting our potential and even making us unwell. Proper awareness of our breathing can improve many of the ailments faced in Western society, including stress, asthma, insomnia, hypertension and weight issues. 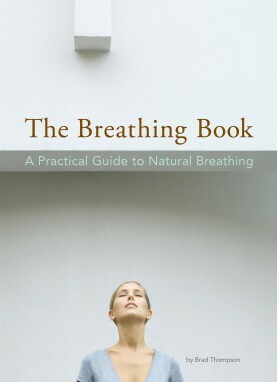 Through a series of simple, practical exercises, The Breathing Book helps readers understand the mechanisms of breathing, and teaches techniques to improve our breathing capacity, control and flexibility. Learn how to adapt breathing to suit different activities.